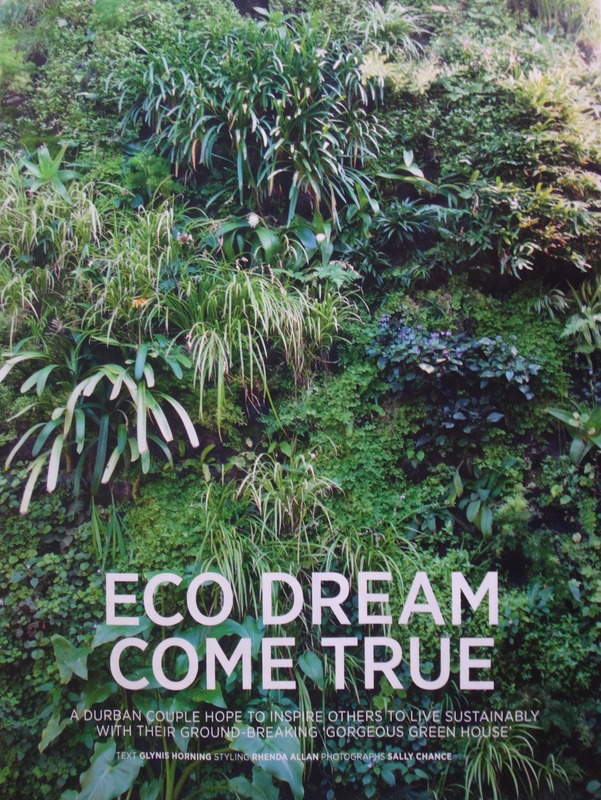 When we embarked on this greening project (an eon ago!) we drew up a long list of goals. Some had to be abandoned early on (e.g. bio-digester prohibited by city by-laws), some exceeded all expectations (roof garden, eco-pool and vertical garden) and some are still a work in progress (pump issues for water harvesting…sigh). 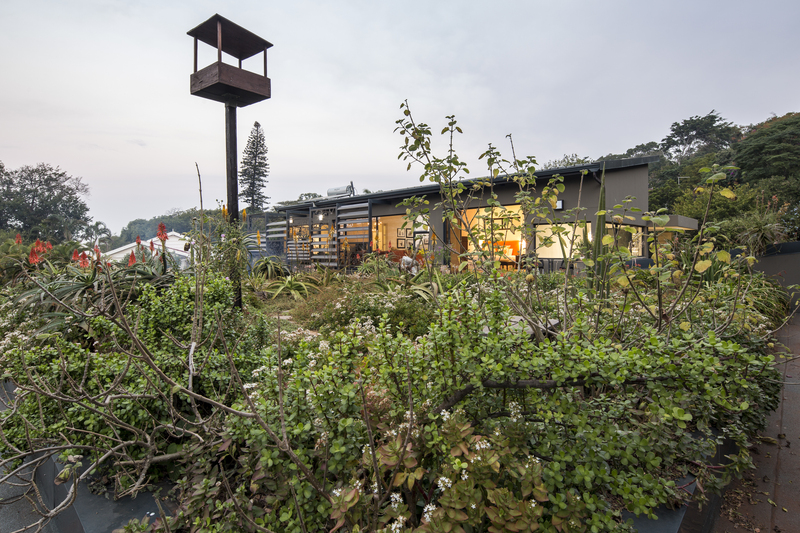 The final item on the original list falls under the Urban Farming category. I am so excited to report that the newest members of the family, and final list item, are our gorgeous, egg laying chickens. This, however, is a cautionary tale and although it pains me to share it I do so in the hope that others will be able to avoid our mistakes and possibly secure encouragement from our successes. My intuition to delay until all our ‘eggs were in a row’ (sorry, can’t resist) was correct. The eggs in this instance related to appropriate housing and the assimilation of the birds with the dogs. We have two Dachshunds (originally bred for badger hunting) and one Rhodesian Ridgeback (bred for lion hunting). I have no interest in owning chickens that are not properly free range but also had no intention of parting with my beloved dogs. We were perhaps a little too casual about what would be involved in ensuring 100% free access to the garden for all parties concerned. We started off so well! My son Peter scoured the internet for chicken house designs and came up with this wonderful plan that provides a large covered resting place,with perch, in the event of bad weather (coop) with smaller cosy laying box attached. This would be located in a much larger chicken mesh run so the birds and dogs could be separate whilst they were getting to know each other. Son, with a little help from dad, had the house up in no time and with much happiness we went to collect three 20 week olds from friends who farm down the road. Chickens were installed and we observed the dogs. The Ridgeback gave them a sniff and wondered off as if to say ‘so what’. The black daxie ran in to my arms in terror. Georgie our brown daxie licked her lips, panted and quivered incessantly. Day 1, Georgie bit into a corner of the roof. Day 2 she dug under the cage. We reinforced and re-worked. On the 6th night, when she was meant to be tucked up in bed she sneaked out and literally ate through the chicken mesh (the irony) and murdered 2 of our precious ‘girls’. After much weeping and wailing and resolving to return the surviving Huxley to her original home, husband worked a massive reinforcement with weld mesh, and we girded ourselves for another try. Petunia and Gertrude were brought home (the farming friends, generous with empathy, not just replacements) and I popped them into the run and went to make supper. If I had done my homework properly I would have learned that even chickens that have 8 square meters of space, when newbies enter their home, may attack. We woke up the very next morning to a carotid punctured Gertrude and a smug looking Huxley. Google later informed this very ashamed chicken parent, that a temporary second run should have been built alongside. This would enable them to peck and scratch each other safely through the mesh until the novelty wore off. Noted for next time but the chickens were still not free ranging and Georgie was still salivating. Friends and family admonished to abandon the idea of ‘free-range’ and take comfort from the commercial definition of free range. (Smaller than our current run). This just made me feel more determined and I decided that whatever it took Georgie would learn to be nice to the chickens. This is what it took. Days 1 – 3 my office moved to a chair next to the chicken run. Georgie was on lead, chickens were bravely stepping out. I was working/voice disciplining Georgie for lunges and whining. Days 4 – 9 my office moved 10 meters away, Georgie off lead, but not out of sight, discipline continues. Georgie is starting to get bored. Days 10 – 21 office moves to veranda. Chickens and daxie frequently out of sight (but not hearing). Georgie eventually completely bored with the whole process and resumes her previous life of sun tanning and hunting moles and pigeons. Chickens happy and FREE! So it’s been a bit of a mission but worth every bit of it. We are now a few months in and the excitement of running down to the chickens to collect eggs has not worn off. The eggs are getting richer and darker and more delicious. The chickens peck and scratch their way around the whole garden (and sometime inside the house!). They come when called and enjoy having their backs stroked. They are a complete delight and have truly brought another level of joy to the Gorgeous Green House family. I would absolutely encourage you to go for it if you are feeling inclined. Even the science is supporting how good growing our own food is for us. Apparently we are programmed with neural pathways to give us chemical rewards when we do so. This, however, is an activity that generates more than little spurts of dopamine/oxytocin. Take a fresh warm egg from under the bottom of a beautiful healthy chicken and whilst it is still warm, crack into a pan of caramelizing butter and you’ll know exactly what I mean. The final piece of our Gorgeous Green Puzzle is complete. It feels good! Categories: Livestock, Organic farming, Uncategorized | Tags: free-range chickens, Organic chicken farmging, Urban farming | Permalink. Since we moved into the Gorgeous Green House we have been in thrall of the regular night time visits of a magnificent Spotted Eagle-Owl. He/she loves to use the screen on the house as a perch to hunt from. Not surprising, as we have their favourite prey (small mammals, birds, insects, frogs, and reptiles) in abundance. A little research led us to learn that, although this owl is not threatened, and has become well adapted to human dominated environments, many still die from human actions. Top of the list are poisons (usually given to rats), cars, and people who fear them or wish to use their body parts in traditional medicine. We were instantly inspired to try and attract our visitor to bring his/her mate and start a family. Although we are fortunate to have a number of large trees in our garden we thought it might increase our odds by setting up a nesting box. That was over a year ago and there has been no interest at all! Several wildlife experts have suggested that although the design is correct the position on the roof garden may be too exposed. We had been so concerned about monkeys terrorizing the chicks (they are very destructive to other bird species in the garden) that we thought putting the box on top of a greased pole would be the business! Apparently are fears are unfounded as most creatures that try to take an owl chick run the risk of being killed or injured by the highly protective parents. 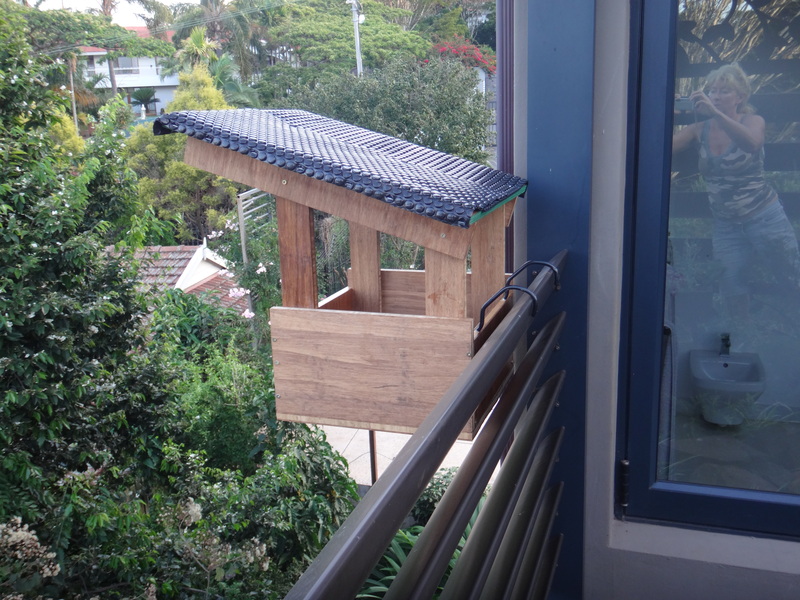 Greg has been mulling over what to do with the left over bits of bamboo from the kitchen and decided to build nesting box no.2 and for it to be placed in a more sheltered position. 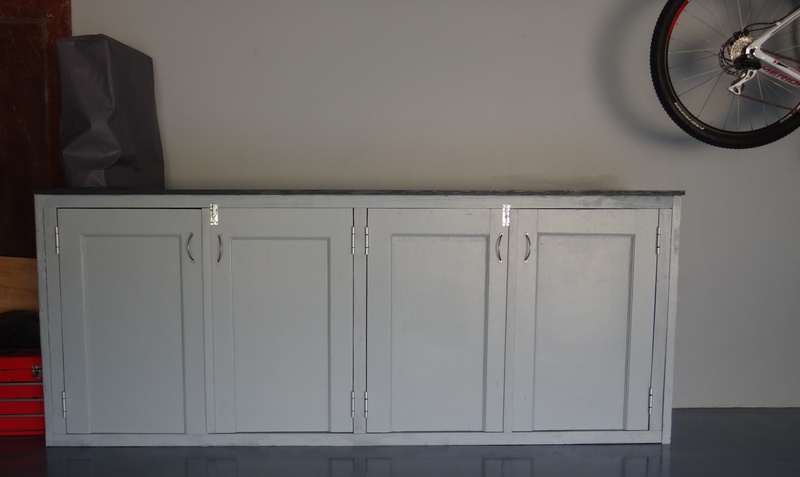 He has recently finished constructing the new work bench from the old doors in the house and has been itching for a project to break it in. There are lots of plans on the internet we found ours here. The result is quite spectacular! Fingers crossed that we’ve got the location right this time (side of the house but still good visibility) and perhaps this posh version will attract a couple looking for a more high-end abode. Just in time, October is the last month for breeding! 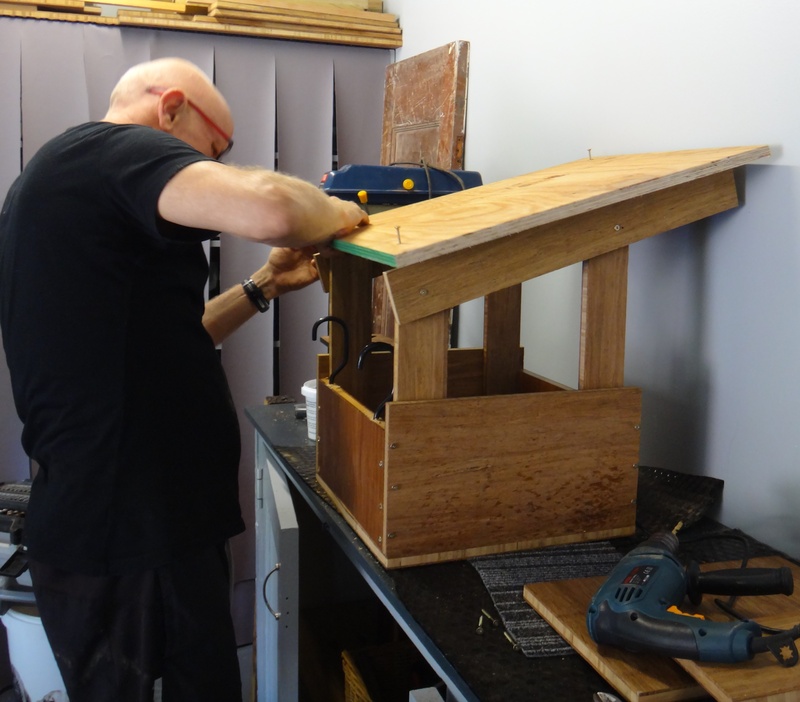 This project took Greg less than 3 hours and we hope that you may feel inspired to make your own nesting boxes. Alternatively if you are not DIY inclined check out your local resources, many cities/town have organisations that advice on owls that fly in your area and supply and assist people to get set up. 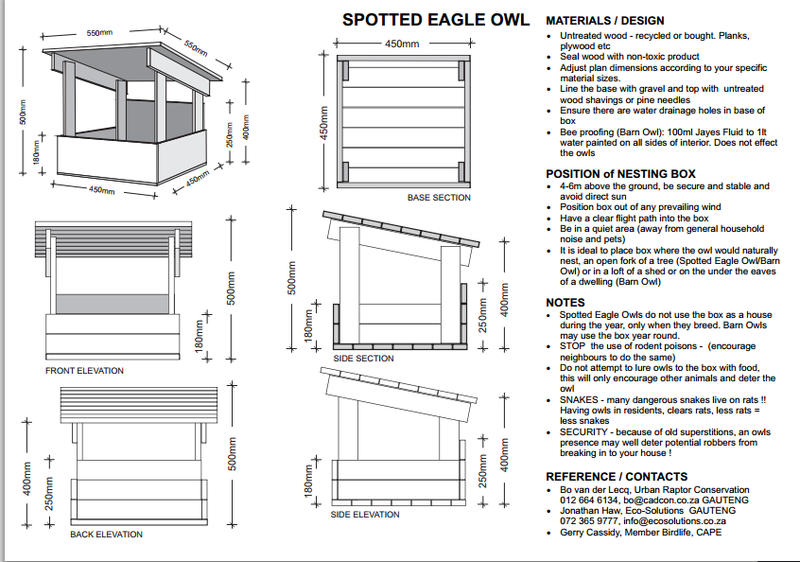 Categories: Re-cycling, Re-purposing, Re-using, Recycling, Uncategorized | Tags: nesting boxes, owls, spotted eagle-owls | Permalink. THIS SHOULD BE ON THE FRONT COVER OF EVERY NEWSPAPER! As per previous post, we really don’t need to be spending billions on coal and nuclear power stations. 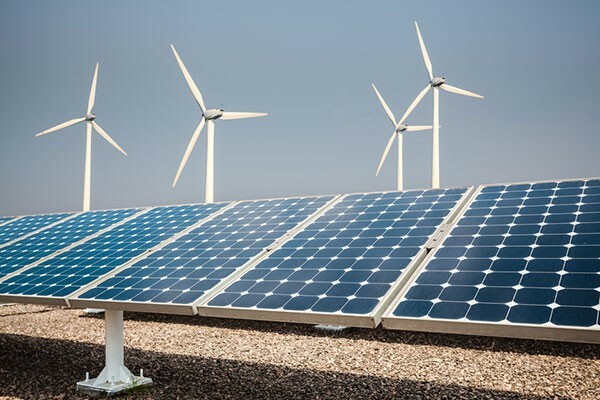 Mainstream Renewable Power, a global wind and solar energy company, has released a research report which states that South Africa’s wind and solar power generation matches electricity demand in the country. Mainstream analysed wind and solar resource data from 2013 for 18 wind and solar sites across South Africa. The sites analysed represent a potential combined generation capacity of 42,000 megawatts – 30,000MW wind and 12,000MW solar. The analysis set out to predict how much electricity the 18 sites could generate and at what times of the day. The results showed that local wind and solar resources generate power at times of the day when it is needed. The research further found that when wind and solar generation are combined, the net effect is a significant contribution to baseload power. Mainstream’s CEO Eddie O’Connor said the initial analysis underpins the government’s commitment to renewable energy. 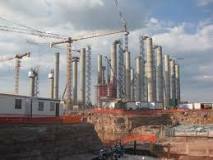 “Not only are wind and solar power cheaper than new fossil fuel generation here in South Africa, but when combined, they can make a significant contribution to baseload power at the time of day it is most needed,” he said. The graph below shows the country’s wind and solar hourly generation profile, and the 2008 national demand profile. 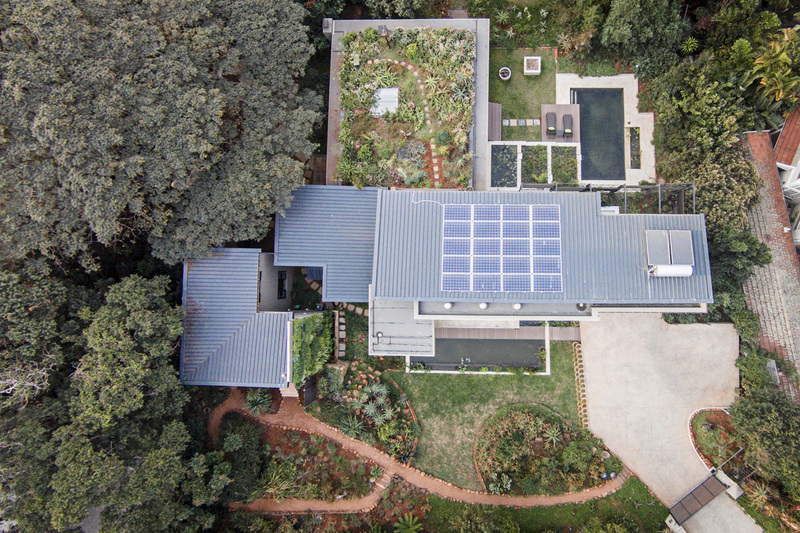 Penny-Jane Cooke, a climate and energy campaigner at Greenpeace Africa, said this research is significant in busting a big renewable energy myth. “This research effectively busts one of the biggest myths created by the anti-renewables lobby: that we require coal and nuclear generation to provide for baseload demand as renewable energy sources cannot meet this demand,” she said. She said what is interesting about this research is that this phenomenon does not occur everywhere in the world. Categories: Solar Energy, Uncategorized | Tags: photo voltaic, solar energy, solar panels | Permalink.